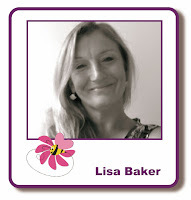 It seems an age since I blogged, as you know I have been very busy lately but the lovely Kirsten has been keeping you up to date with all my news and if you have been following on Facebook too, you will know that I am a little poorly at the moment with shingles!!!! 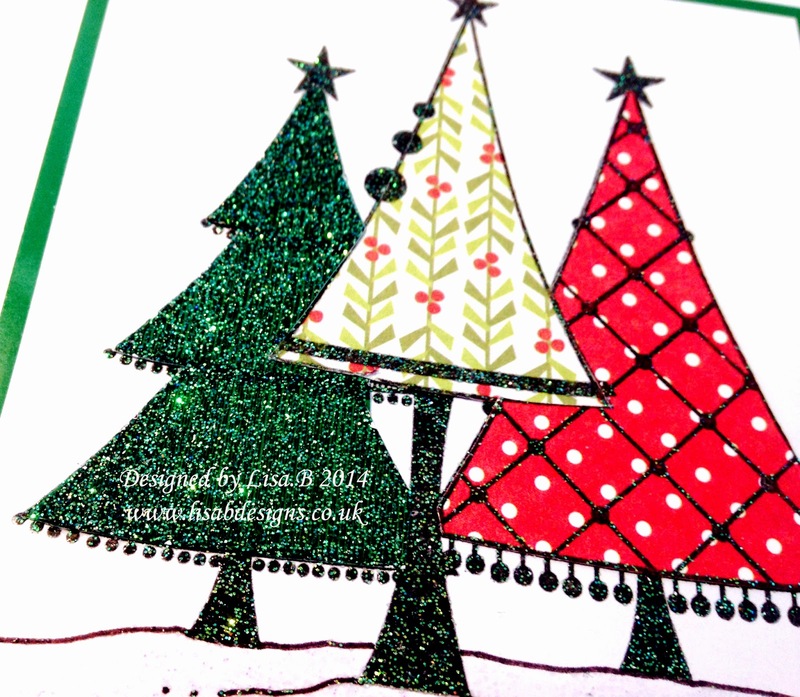 Two lovely cards there, using beautiful stamps. They are really lovely cards and thank you for the reminder about the class cards. Loved the robin one so much I bought the stamp. Can't wait to have time to try it. Two lovely cards. 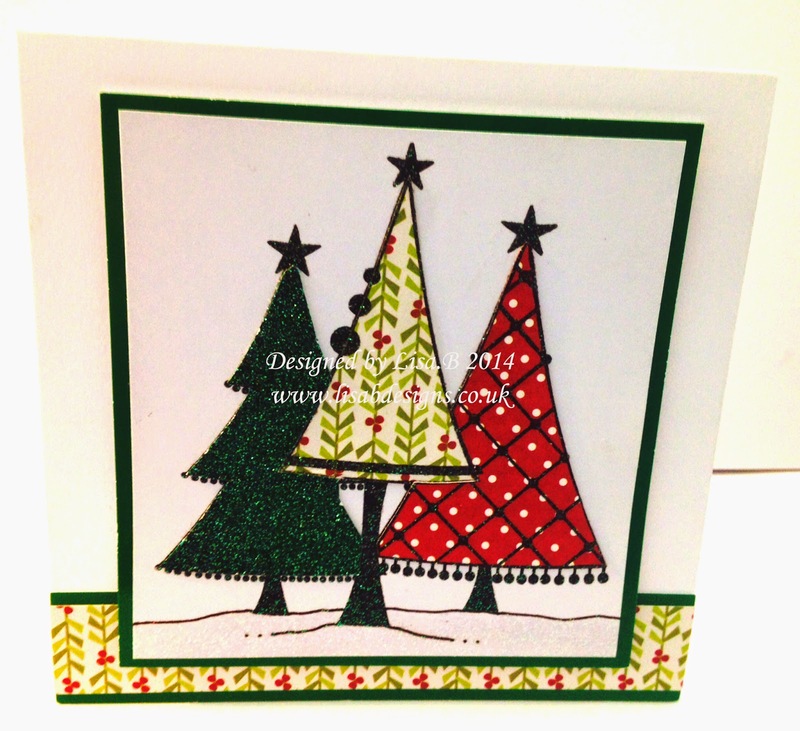 Great idea for the snowy base on the tree card. 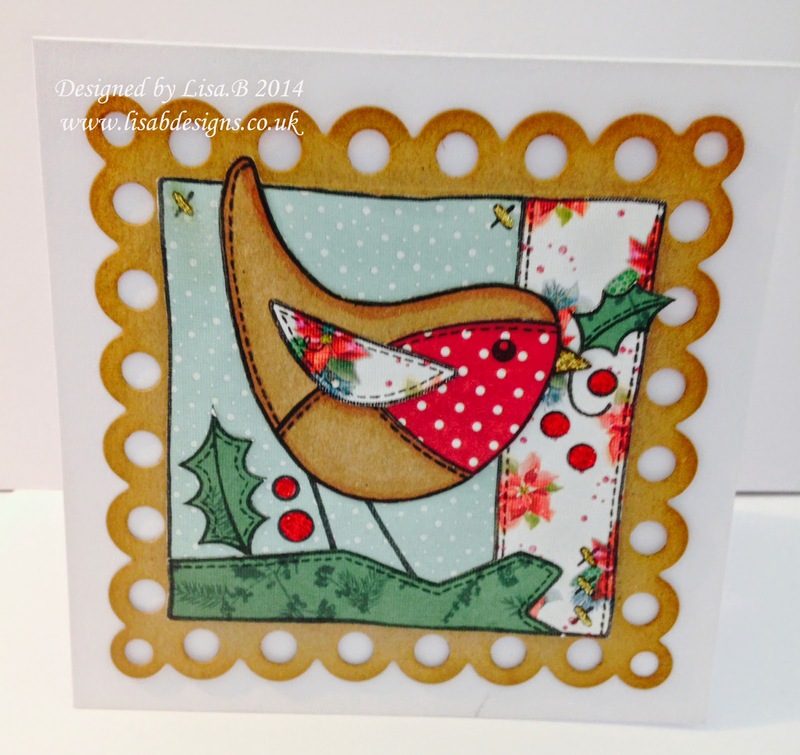 Your cards are lovely Lisa and I've had great fun playing with the robin stamp. Beautiful cards. Love all the paper piecing. Hope you are feeling better soon. 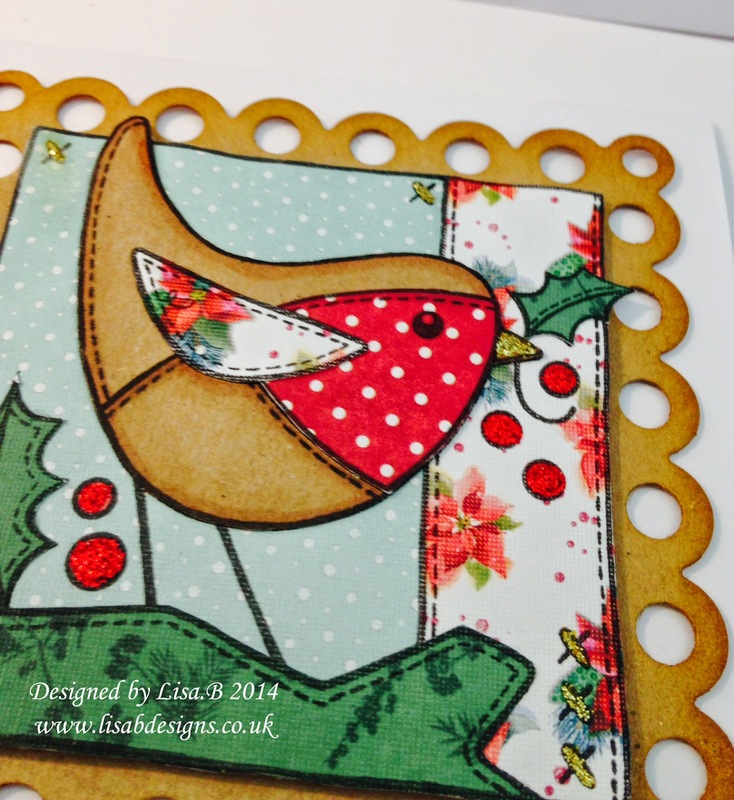 You made two super cards Lisa and I've thoroughly enjoyed playing with my robin stamp. Get well soon.